White fillings are used in Cosmetic Dentistry to restore the form and function of decayed or damaged teeth. A tooth-coloured filling material is used to cover a hole on the affected tooth, so that its normal appearance and function can be restored. White fillings are amalgam-free and look very natural and aesthetic compared with amalgam fillings. What is involved in a White Fillings Treatment? The affected tooth and its surrounding area will be numbed using a local anesthetic, to ensure that no discomfort is felt during the procedure. A dental drill is then used to remove all of the damaged or decayed parts of the tooth. After removing the decayed tooth portions, the white filling will then be placed in layers to fill out the hole. Each layer of the tooth-coloured fillings is then hardened using a special light, to make sure that the material sets properly and hardens to the desired structure – providing full restoration to the tooth. Who Can Have White Fillings? If you want to restore a decayed or damaged tooth, white fillings can provide you with effective dental restoration that looks very natural. You will not have to worry about a dark-coloured filling (silver amalgam) being seen every time you open your mouth, as the white filling material seamlessly blends with the appearance of the rest of your natural teeth. More natural-looking dental restorations that will not look obvious when the mouth is opened. Making this option more aesthetically attractive compared to silver amalgam fillings that are dark in appearance. Less of the healthy tooth structure will need to be removed in preparation for a tooth-coloured filling, compared to the use of silver amalgam fillings. 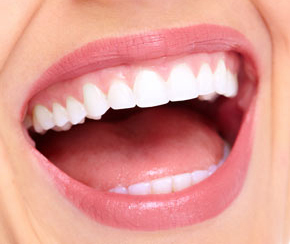 A tooth restored with white fillings is less prone to sensitivity issues.